This report includes a nationwide survey of recent Latino arts archival initiatives designed to prevent the loss of important primary sources. 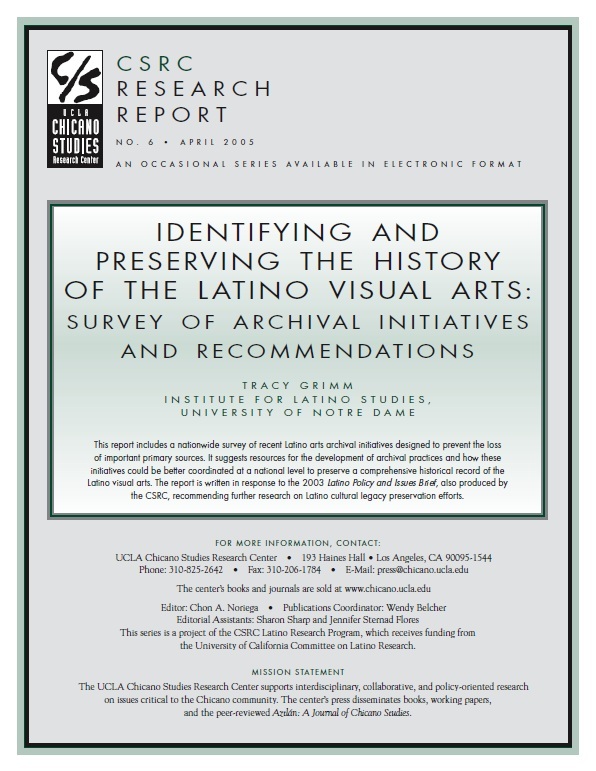 It suggests resources for the development of archival practices and how these initiatives could be better coordinated at a national level to preserve a comprehensive historical record of the Latino visual arts. The report is written in response to the 2003 Latino Policy and Issues Brief, also produced by the CSRC, recommending further research on Latino cultural legacy preservation efforts.